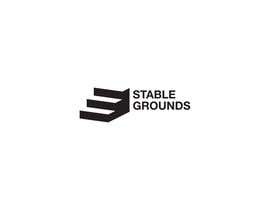 Stable Grounds, Inc. is a 501(c)(3) non-profit charitable organization with the mission to establish a coalition of people – from a broad spectrum of professional disciplines – that are committed toward developing leadership and community-building competencies through local programs and activities. The imagery for the brand should be based upon the concept of helping community organizations and new entrepreneurs/startups establish a solid foundation (or stable grounds) from which they can launch their initiatives. All artwork must be the original creation of the artist/designer that is selected and be created in vector format (Illustrator/Sketch preferred). All artwork must be accompanied by a full release for commercial use and all copyright transferred to Stable Grounds, Inc.. Please check #284. Thank you. "Entries that give the impression of a "shield" feel a little cheesy, and they have not generally liked triangular designs. Perhaps basing the design to give the impression of a map-style placemark pin would be more successful." Since this is a sealed contest, we are not going to share any of the entries. However, some of the comments that the client has given might help give an idea as to what they are looking for. "No horse or animal-based designs, please." "The client hasn't ruled out entries with a physical building inspiration, but I would suggest an entry that is based on small-business or startup type architecture. Find a nice balance in the middle, between residential and corporate. I would stay away from industrial." "If incorporating the 'S' and 'G' in the entry, one of the characters should not be more prominent than the other." "Simple typeography and/or font stylizing is not appealing to the client." "Single-color entries have, generally, been rated lower than two-color, contrasting entries." Note to all designers: Please, no animal or horse-based entries, please, unless you are able to make a compelling argument for the connection to the stated mission of the organization provided in the contest description. Thanks! Here are some design styles that appeal to the client. Please note that they are not meant to give content-specific inspiration - the "style" of the imagery should be the focus. Designers - So far, the client has reacted most positively to the designs that include symmetric geometry, with a clear bias toward hexagonal themes. Devon - Thank you for reaching out. I will reach out to the client and see if they have any specific imagery that appeals to them. 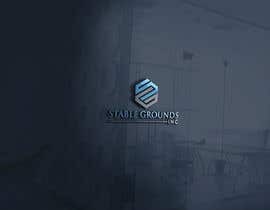 Based upon out initial consultation, they are looking for branding that evokes a sense of stability or "grounding" and coming from a place of "stability". Hi! Would you mind including some example photos of other logos you like, to help give us a better idea of the style/direction? Thanks!